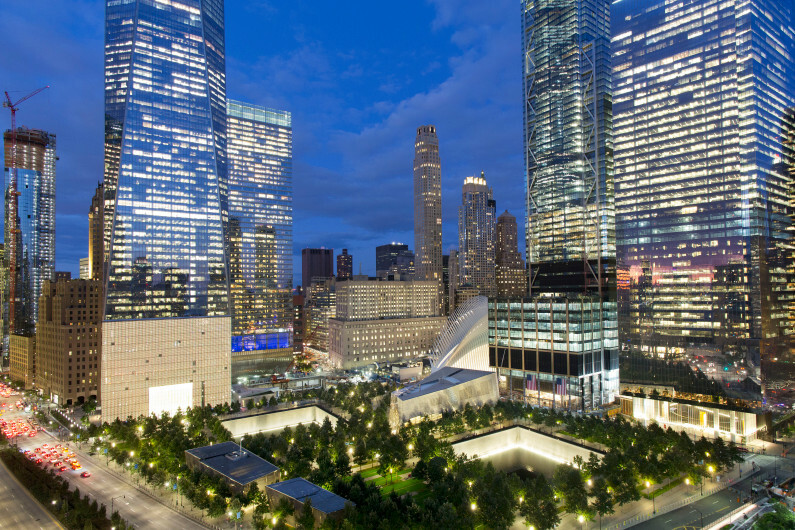 The National September 11 Memorial and Museum, bottom, is surrounded by high-rise towers in New York on Sept. 8, 2017. The new towers are: WTC 1, second from left, WTC 7, third from left, WTC 3, second from right, and WTC 4, right. Monday will mark the sixteenth anniversary of the terrorist attacks.